FRESNO, Calif. -- For the fourth time in the history of The Hershey Company, Hershey's introduced a new flavor Wednesday. Unveiling it on it's social media accounts, the company is calling it "Hershey's Gold". 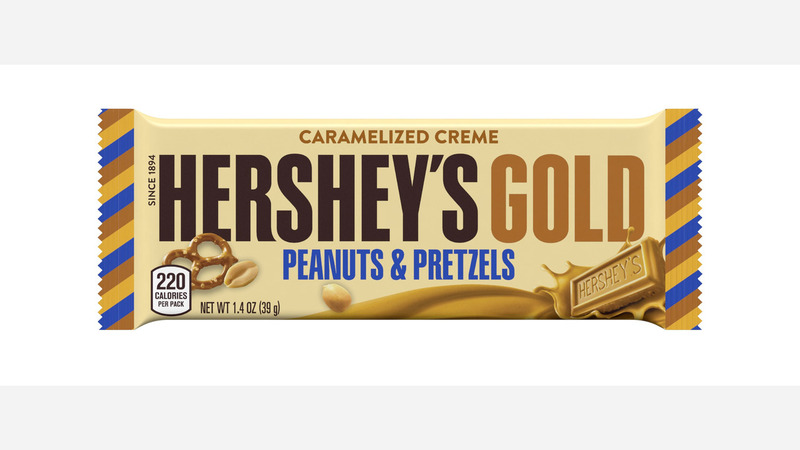 According to a press release, "The new Hershey's Gold is made with caramelized creme and a combination of salty, crunchy bits of peanuts and pretzels that delivers a creamy, crunchy satisfaction. It was created using a proprietary process to transform white creme into solid "gold" by caramelizing the creme in a specialized kitchen." Hershey's says they chose to announce it today, because it's exactly 100 days until the Winter Olympic Games begins. The release states, "The debut of our fourth flavor, Hershey's Gold, was an opportunity to commemorate this golden occasion with The Games, an iconic cultural moment for consumers, Team USA and The Hershey Company to share together." Hershey's Gold bars will be available beginning December 1.